Good match. It wasn’t quite the caliber of most of the matches from the Cruiserweight Classic, but this was a lot of fun. 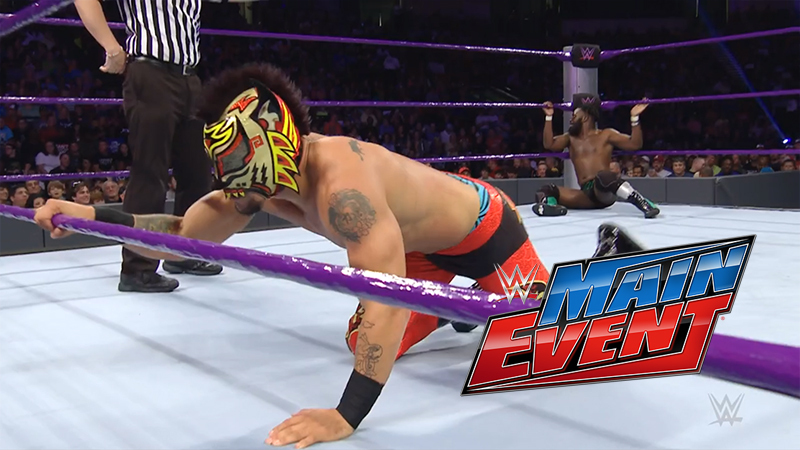 I think a big difference was that this match didn’t feel like it had so much riding on it, so Swann and Dorado seemed to have more fun with this while the CWC matches were all very competitive. Both guys had a god showing and it was a very even matchup. From RAW, Sasha and Bayley team up to take on Charlotte and Dana Brooke. Good match. Breezango, once again, showed some great teamwork. I don’t think they get enough credit for the clever ways they work together in the ring. On the other side of the ring, Slater and Rhyno worked well for how they wrestle: Slater gets beat up and Rhyno saves the day. Very enjoyable. From RAW, Owens faces Reigns in a steel cage. This was a good Main Event. Both matches are worth watching and were given a decent amount of time. The matches had a good mixture of fun and wrestling at the same time. Breezango needs a title push for sure. Both matches were good, but this one was more unique.